Get Our Retractable Pull Up Banners Custom Printed With Your Logo! Promotional Pull Up Banners are the perfect solution for fast, high impact, exhibition display stands. A pull up banner stand can be deployed individually or tiled for extra impact. Pull up banners simply retract into their sturdy alloy base for secure transportation. They are super quick and easy to set up and take down. Graphics can be designed to your liking by our in house design service. Which is offered free of charge and with no obligation. Simply send us your graphics or logo and let us do the rest! See below for standard sizes, fittings and more information. Full colour printing available front and back. Full colour CMYK digital printing is available on the front and back of pull up banners. Allowing for greater design freedom that will tie in perfectly with your branding. Quality Components and Carry Bag. All our banners come in a complete kit, featuring: stands, carry bag, any optional fittings requested and all items required to get your banners setup and advertising. Premium grade materials and printing base. Manufactured using 210gsm polypropylene film with matt lamination. High grade steel base with polished mirror finish ends fitted. Businesses looking for an outstanding form of marketing, one suitable for a variety of locations and situations, often turn to pull up banners. The banners are both inexpensive and effective, and these are only two of the numerous benefits a company will find with this advertising option. Roll up banners may be used repeatedly, thanks to their durability and ease of use. Following are some of the countless reasons why this remains the preferred marketing method of many organisations in New Zealand. One reason pull up banners remain so popular is the flexibility businesses have when creating their marketing display. A variety of designs and styles are offered to ensure the company finds one that fits with the overall image they wish to project. In addition, different mounting options are provided, and clients may provide a graphic or have the in-house design service take on this task. Creating the ideal banner is easy thanks to this service and customers truly appreciate it. Another reason companies choose to purchase pull up banners is they are incredibly easy to use. The banner may be set up and dismantled in a matter of minutes by one person, minimizing the need for additional staff members at an event. 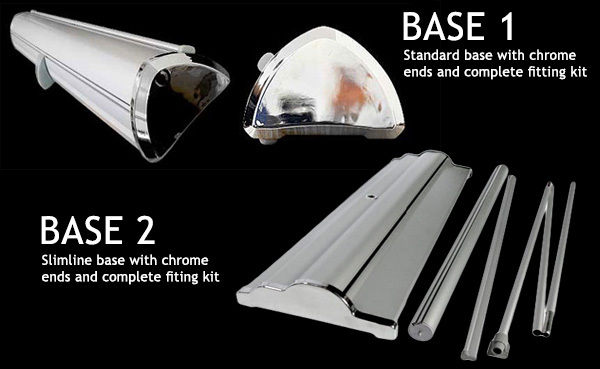 The banner kit comes complete with the banner, the stand or stands, any fittings that are required, and a carry bag. This bag makes it easy to transport the display between locations and will fit into any car. Furthermore, the carry bag helps to protect the graphics from damaging elements, such as moisture and direct light. Banner printing options ensure every customer obtains a pull up banner that meets their specific requirements. Some companies opt to only print on one side of the banner, allowing the image to bleed through to the other side. Others, however, wish to have the same message and/or image on both sides of the banner to make certain the desired message is delivered. Regardless of which option is chosen, the banner will be printed using the full-colour CMYK digital technique to ensure the design fits ideally with the company brand. One reason a pull up banner remains a very effective form of advertising is the same banner may be used in a number of locations. Often seen outside a store in a mall, the banner may also be used in a restaurant, at a trade show or exhibition, or during a travel fair. Event branding planners frequently turn to this advertising medium, and the banners may be found in travel hubs and showrooms throughout the country. Seminars and receptions are two more places where a roll up banner may be seen, and the banners can be used both indoors and out. Companies appreciate this versatility when it comes to their marketing materials, as they save money by not having to buy multiple items for different situations. When purchasing roll up banners, companies find they cannot get a better deal thanks to our Price Beat Guarantee. In the event a competitor offers the identical banner at a lower price, we match it, and we offer ten-day delivery anywhere in the country. When promotional products are required in a short period of time, we deliver on what we promise, and our frames come with a three-year warranty above and beyond the one-year warranty offered on the printed panels. Pull up banners are a great way to increase brand and product visibility throughout Auckland. As a result, companies making use of this advertising medium find they generate new business without spending a fortune to do so. The banners offer the ideal solution for businesses looking for a high impact advertisement that truly delivers a good return on investment.